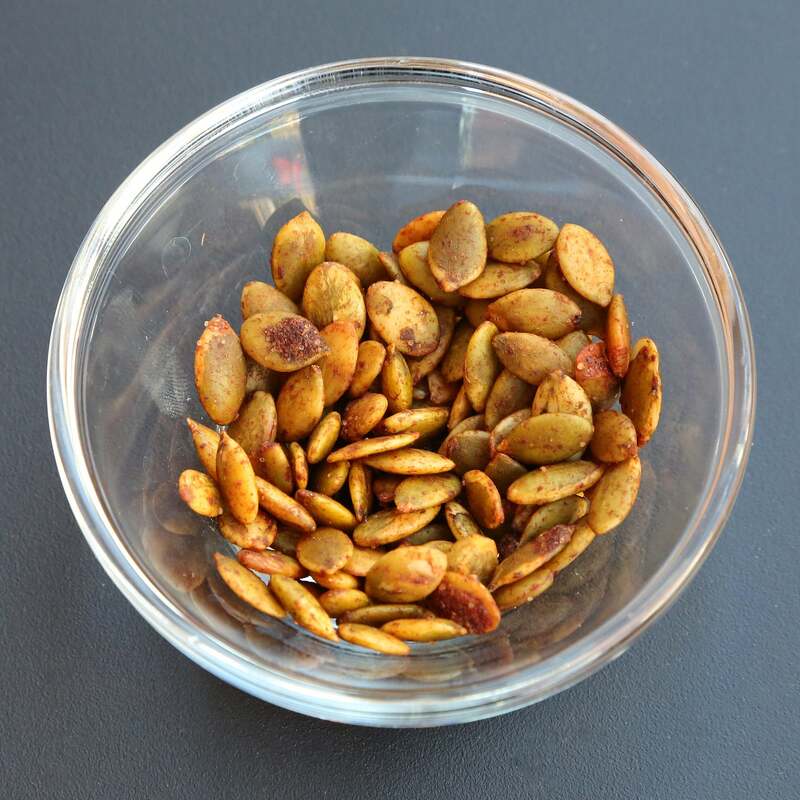 If you're not enjoying pumpkin seeds regularly, then it's time to start incorporating these little guys into your diet. While the seeds straight from the pumpkin are delicious — after they're roasted, of course — the more concentrated nutritional value comes from raw pepita seeds, the hulled, flat, green seeds you'll see in the bulk section of your supermarket. More than adding a seasonal flair to your favorite salad or bowl of yogurt, here are all the healthy reasons you should snack on pumpkin seeds as soon as possible. They support weight loss: Raw pumpkin seeds are a great source of protein and fiber, which work to fill you up and keep you satisfied for longer. Snacking on them raw is great when you're in a bind for time, but you can also enjoy them in the form of this cilantro-pepita pesto that's a delicious dip for baby carrots or that you can easily spread on some whole-grain crackers or sliced turkey. They improve heart health: Rich in omega-3 anti-inflammatory acids, raw pumpkin seeds are a great plant-based source of these essential fats that support a healthy heart. But studies show it might go one step further; one recent pharmacology study found that pumpkin seed oil can lower your blood pressure. They up your energy: Magnesium is a very overlooked mineral that's essential for our body's health, since it works to sustain our energy levels. Many women have a hard time getting enough magnesium in their diets, and raw pumpkin seeds might be the natural answer to this nutrient debacle; a quarter-cup of pumpkin seeds provides about half your recommended daily intake of magnesium. They promote better sleep: Pumpkin seeds are great plant source of L-tryptophan, a compound that helps your body produce serotonin, known to improve your mood and help you sleep soundly through the night.